The corn, soy, and beets are on fire… let the GMOs burn! [NaturalNews] It is EPIC IRONY that certain genetically modified vegetables, namely corn, soy and beets, are burning up in the summer heat and drought that is devastating the entire Midwestern United States. There is a certain serendipitous irony, like bad karma coming home to roost for the greedy corporations that continually put profits ahead of human health and wellness. There’s always a price to be paid for unethical business practices, and just about every vegetarian and vegan knows the truth about the detriments to your health from eating vegetables that come from seedlings which are bred with pesticide in a laboratory. Right now, as you read this, massive amounts of dried up and cracking dirt is strangulating nearly 40 percent of the genetically modified CORN, SOY, and BEET roots, and in some hauntingly similar way, those toxic vegetables have been slowly strangulating the masses who have been consuming them for the past 15 to 20 years. The greatest monopoly to ever besiege mankind is the merger of the U.S. food industry with the U.S. pharmaceutical industry. (http://www.naturalnews.com/030394_GMO_plant_pharmas.html) Perpetuated myths invade the masses via media tricks and ad campaigns, and most people have no idea they are eating pesticide for breakfast, lunch, and dinner every single day. The cleansing and detoxifying organs, like the kidneys, pancreas and liver are being overwhelmed with GMO toxins and food additives. It’s becoming very difficult to find any soy which is truly organic. Most soy in America is genetically modified, processed, and causes extreme health detriment. Do you drink soy milk because you’re trying to avoid dairy? Switch to almond milk or rice milk right away. Why? Soybeans contain HAEMGGLUTININ, which is a clot promoting substance that causes red blood cells to clump together. This is what leads to strokes. Also, soy beans contain natural toxins or “anti-nutrients” and are considered enzyme inhibitors, because they block the action of trypsin and other enzymes that humans need for protein digestion. These can produce serious gastric distress and cause chronic deficiencies in amino acid uptake. In test animals, they cause enlargement of pathological conditions of the pancreas, including cancer. Soy consumption also increases estrogen. Research shows that hamsters fed with GM soy were unable to have offspring and suffered a high mortality rate. Also, steer clear of soy protein isolate, found in most protein shakes and protein bars. Hexane, a petroleum solvent similar to gasoline, is used in the processing phases of soy, and remnants are found in all non-organic soy based food. Oh, but you will never find hexane on the label. Genetically modified corn does NOT feed the entire world, it poisons the entire world. Frankencorn is laden with pesticides inside and out, and America breeds it and feeds countries and most livestock this toxic, insidious food product, as if it’s just normal daily business. This drought is more like some ancient Egyptian plague for these huge biotech corporations like Monsanto and Dow. This drought is like something out of the Ten Commandments. “What will farmers use to feed livestock if there’s no corn? !” The behind-the-scenes-truth is that corn and grain based animal feed cause digestive infections and disorders in the animals. Those “corporate” infections (and the antibiotics given to treat them) are passed on to carnivores all over the world. “Agent Orange” corn on the rise like a Grim Reaper: Enlist, known by its critics as “Agent Orange” corn, is created by Dow AgroScience and is engineered to be immune to 2,4-D, an ingredient used in Vietnam that lead to thousands of soldiers coming back from the war with cancer. Farmers can douse their crop with this lethal pesticide and boost profits, all while fueling the $100 billion cancer industry. Studies show that 2,4-D exposure is associated with various forms of cancer, Parkinson’s Disease, nerve damage, hormone disruption and birth defects. Monsanto GM beets for MONOSODIUM GLUTAMATE; who knew? Plus, the sugar beet pulp is a processed by-product widely used as feed supplements for livestock. Farmers across the country are planting Monsanto’s Roundup Ready sugar beet, genetically engineered for resistance to Monsanto’s herbicide glyphosate (marketed as Roundup). Up to 95 percent of the sugar beet crop in Idaho alone is GM, totaling 150,000 out of 167,000 acres. Half of the granulated sugar in the U.S. comes from pesticide laden sugar beets, creating UNPRECEDENTED health and environmental risks. When did all the MSG mayhem kick into full gear? Back in 2005, the U.S. Department of Agriculture (USDA) changed the classification of Roundup Ready sugar beets from regulated to “deregulated.” Basically, the USDA and the FDA failed to conduct research into the impacts of humans eating Roundup pesticide. Unfortunately, there are many innocent organic farmers suffering from the drought too. However, we don’t need GM corn, soy and beets, so let those prices rise. If corn and soy prices went up 100 percent instead of what the media is warning about (four percent), it would be a blessing. Maybe then the masses who think GM means the “evolution of farming” would stop buying cancer causing food and start buying organic food that heals the body and PREVENTS DISEASE. It’s your choice every day, every meal. Every penny you spend can feed pollution and disease, or promote nutrition. Join the movement and the life-long mission, if you have not already. Buy organic food and easy recipe books and videos/guides and start making your own chips and dips, with organic spices and herbs. And don’t you dare complain that you can’t afford it, because what you can’t afford is to get DIABETES, CANCER, HEART DISEASE AND ALZHEIMER’S. Scientists in Norway have released results from experimental feeding studies carried out over a 10-year period, and the verdict is in: If you want to avoid obesity, then avoid eating genetically engineered (GE) corn, corn-based products, and animals that are fed a diet of GE grain. As reported by Cornucopia.org1, the project also looked at the effects on organ changes, and researchers found significant changes that affected weight gain, eating behaviors, and immune function. “The results show a positive link between GE corn and obesity. Animals fed a GE corn diet got fatter quicker and retained the weight compared to animals fed a non-GE grain diet. The studies were performed on rats, mice, pigs and salmon, achieving the same results. Their findings (which were published July 11, 2012 in Norway by Forskning.no, an online news source devoted to Norwegian and international research3) showed that animals fed genetically engineered Bt corn ate more, got fatter, and were less able to digest proteins due to alterations in the micro-structure of their intestines. They also suffered immune system alterations. The impaired ability to digest proteins may be of particular concern as this can have far-reaching implications for your health. If your body cannot digest proteins, your body will be less able to produce amino acids, which are necessary building blocks for proper cell growth and function. “This not only may relate to a rise in obesity, but to increases in many modern diseases. These diseases include diabetes, digestive disorders, inflammatory bowel disease, colitis, autism spectrum disorders (ASD) (ADD), autoimmune diseases, sexual dysfunction, sterility, asthma, COPD and many more. This is not the first time scientists have revealed significant biological impacts and related health problems as a result of eating a diet of genetically engineered foods. More often than not, unless the research is tainted by industry ties, studies into the effects of genetically engineered foods demonstrate that it is anything but safe. This isn’t so surprising when you consider that simple logic will tell you it’s probably not wise to consume a plant designed to produce its own pesticide, for example. So-called “Bt corn” is equipped with a gene from the soil bacteria Bacillus thuringiensis(Bt), which produces Bt-toxin—a pesticide that breaks open the stomach of certain insects and kills them. This pesticide-producing corn entered the food supply in the late 1990’s, and over the past decade, the horror stories have started piling up. Monsanto and the US Environmental Protection Agency (EPA) swore that the toxin would only affect insects munching on the crop. The Bt-toxin, they claimed, would be completely destroyed in the human digestive system and would not have any impact on animals and humans. The biotech companies have doggedly insisted that Bt-toxin doesn’t bind or interact with the intestinal walls of mammals, and therefore humans. The featured research proves all such claims false. Bt-toxin breaks open the stomach of insects. Could it similarly be damaging the integrity of your digestive tract? If Bt-toxins can damage the intestinal walls of newborns and young children, the passage of undigested foods and toxins into the blood from the digestive tract could be devastating to their future health. Scientists speculate that it may lead to autoimmune diseases and food allergies. Furthermore, since the blood-brain barrier is not developed in newborns, toxins may enter the brain causing serious cognitive problems. Some healthcare practitioners and scientists are convinced that this one mechanism for autism. If Bt genes are colonizing the bacteria living in the digestive tract of North Americans, we might expect to see an increase in gastrointestinal problems, autoimmune diseases, food allergies, and childhood learning disorders since the advent of Bt crops in 1996, and that’s exactly what’s being reported. For example, between 1997 and 2002 the number of hospitalizations related to allergic reactions to food increased by a whopping 265 percent. One out of 17 children now has some form of food allergy and allergy rates are rising. Elevated T cells (gamma delta), which are increased in people with asthma, and in children with food allergies, juvenile arthritis, and connective tissue diseases. Rats fed another of Monsanto’s Bt corn varieties called MON 863, also experienced an activation of their immune systems, showing higher numbers of basophils, lymphocytes, and white blood cells6. These can indicate possible allergies, infections, toxins, and various disease states including cancer. There were also signs of liver and kidney toxicity. Yet another study has concluded that feeding animals GMOs results in higher rates of infant mortality and causes fertility problems. Russian biologist Alexey V. Surov and other researchers fed Campbell hamsters (which have fast reproduction rates) Monsanto GM soy for two years. It should be noted that hamsters do not evolutionarily eat soy—just as cows fed Monsanto corn are actually ruminants and would not naturally eat corn. “Originally, everything went smoothly,” Surov told broadcasting service The Voice of Russia. Surov and the researchers fed the same diet to three generations of the hamsters, and that’s when they noticed things going awry. “We noticed quite a serious effect when we selected new pairs from their cubs and continued to feed them as before. These pairs’ growth rate was slower and reached their sexual maturity slowly.” By the third generation, the hamsters were infertile. Many animals on the GM diet even displayed rare, strange pathologies like hair growing in recessed pouches inside their mouths. “Some of these pouches contained single hairs,” said Surov in Doklady Biological Sciences, “others, thick bundles of colorless or pigmented hairs reaching as high as the chewing surface of the teeth. Sometimes, the tooth row was surrounded with a regular brush of hair bundles on both sides. The hairs grew vertically and had sharp ends, often covered with lumps of mucous.” Surov and other authors concluded that because rates of hairy mouths occurred more frequently in third-generation GM-fed animals, the condition may have resulted of the GM feed. Surov says contaminants and herbicide residue (like Roundup) could be to blame as well. 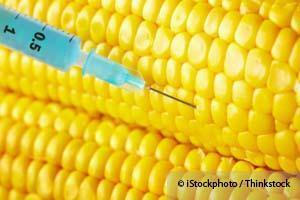 Austrian researchers reporting 4th generation “Frankencorn”-fed mice totally infertile. Thousands of dead sheep, buffalo, and goats in India after grazing on GM cottonseed. Offspring of mother rats fed GM soy dead within three weeks and recorded smaller sizes. Cooked GM soy with up to 7 times the amount of a soy allergen. Organ lesions, altered liver and pancreas cells, and changed enzyme levels. Excessive cell growth in the stomach lining of GM-potato-fed rats, potentially leading to cancer. GMO corn contributing to human obesity and organ disruption. Overall, GM sounds like a sweet deal only for Monsanto (and our own FDA and USDA, repeatedly found in bed with them). It remains a bad deal for us, the consumers. After it was exposed that the Bill & Melinda Gates Foundation, the philanthropic brainchild of Microsoftfounder Bill Gates, purchased 500,000 shares in Monsanto back in 2010 valued at more than $23 million, it became abundantly clear that this so-called benevolent charity is up to something other than eradicating disease and feeding the world’s poor (http://www.guardian.co.uk). It turns out that the Gates family legacy has long been one of trying to dominate and control the world’s systems, including in the areas of technology, medicine, and now agriculture. The Gates Foundation, aka the tax-exempt Gates Family Trust, is currently in the process of spending billions of dollars in the name of humanitarianism to establish a global food monopoly dominated by genetically-modified (GM) crops and seeds. And based on the Gates family’s history of involvement in world affairs, it appears that one of its main goals besides simply establishing corporate control of the world’s food supply is to reduce the world’s population by a significant amount in the process. Bill Gates’ father, William H. Gates Sr., has long been involved with the eugenics group Planned Parenthood, a rebranded organization birthed out of the American Eugenics Society. In a 2003 interview with PBS‘ Bill Moyers, Bill Gates admitted that his father used to be the head of Planned Parenthood, which was founded on the concept that most human beings are just “reckless breeders” and “human weeds” in need of culling . Gates also admitted during the interview that his family’s involvement in reproductive issues throughout the years has been extensive, referencing his own prior adherence to the beliefs of eugenicist Thomas Robert Malthus, who believed that populations of the world need to be controlled through reproductive restrictions. Though Gates claims he now holds a different view, it appears as though his foundation’s initiatives are just a modified Malthusian approach that much more discreetly reduces populations through vaccines and GMOs. William Gates Sr.’s association with Planned Parenthood and continued influence in the realm of “population and reproductive health” is significant because Gates Sr. is co-chair of the Bill & Melinda Gates Foundation (http://www.gatesfoundation.org/leadership/Pages/william-gates-sr.aspx). This long-time eugenicist “guides the vision and strategic direction” of the Gates Foundation, which is currently heavily focused on forcing GMOs on Africa via its financing of the Alliance for a Green Revolution in Africa (AGRA). ag giants, AGRA, Agriculture takeover, Alliance for a Green Revolution in Africa, Alliance for Natural Health USA, Big Agriculture, Big Biotechnology, Bill & Melinda Gates, Bill & Melinda Gates Foundation, Bill Gates, Biotech, birth defects, Brazil, Center for Food Safety, consumers, CORN, Crimes againts humanity, Crop Failures, Crop Yields, cyanide, Dangers, deceit, Depopulation, detox, Disease, Dr Oz, Engineered Food, environmental hazard, Eugenics, Exercise, Farmers, Farming, Food, food industry, Food Safety, FoodDemocracyNow!, Foods, GAFSP, GE crops, Genetically Modified Foods, genetically-modified, Global Agriculture and Food Security Program, GMOs, GMs, Green Revolution in Africa, GreenMedInfo, Healither, Health, health hazard, Healthy, high-tech agriculture, illness, Industry, Infertility, inhumaine, labeling, Lawsuit, Legal Battle, Lies, life, Living, Melinda Gates, Mercola, Modified Foods, modified organisms, Monsanto, Natural News, Natural Society, Nature, Nutrition, Organic Consumers Association, Planned Parenthood, Prevent Disease, Products, Research, Roundup, Roundup Ready, Scientists, sleep, Soy, soya beans, stores, studies, Study, Supplements, Syngenta, Tifton 85, trickery, Wellness, William H. Gates Sr.
Corn, a crop most likely to be genetically modified – with 70 percent of corn engineered simply to drown in Monsanto’s best-selling herbicide Roundup – is casting off its GMO contaminants into surrounding waterways, and likely making it into your drinking water. According to researchers, the insecticides modified into the corn are being detected in streams up to 500 meters away from corn farms, and quite possibly further. The research was conducted in the states of Iowa, Illinois, and Indiana, where corn fields are abundant. Scientists found the bacterial protein washed off the corn and directly into the streams. While they won’t say for certain what this means for human health, the consensus is that it can’t be good. According to U.K.’s Independent, U.S. corn has a gene from the Bacillus thuriengensis (BT) bacterium inserted into it to repel bugs. This gene produced the Cry1Ab protein, which “has insecticidal properties.” It’s this protein that is being found in the water system. It’s believed the protein is making its way to the water because of the practice of leaving plant material on the field until the next season. This “no till” method is used because it prevents erosion, but it also provides an opportunity for the potentially dangerous protein to be washed away. Needless to say, this isn’t the first time Bt has been in the news. This spring we reported on a study linking Bt insecticide to the death of human kidney cells. Despite this and other troubling news about GMO crops, the United States remains steadfast in its protection against agri-giants like Monsanto, preferring to please them rather than protect the people. In 2009, more than 85% of American corn crops were genetically modified, but that number has likely increased since that time. All the while, other countries in Europe don’t even allow the GMO corn or at the very minimum label food sources that contain GMO ingredients. No similar protections are provided in the United States. [NaturalNews] Move over Frankenfish, corn, soy, cotton and beets. Now we have new genetically modified Frankenapples with unnatural proteins designed to keep apples from browning when sliced or bruised. British Columbia-based Okanagan Specialty Fruits has submitted an application to the USDA for approval of new browning-resistant GMO apples. The GMO apples, which are likely to first appear in the Golden Delicious and Granny Smith varieties, contain a synthetic gene that sharply reduces production of polyphenol oxidase, an enzyme responsible for normal apple browning. Okanagan believes their new browning-resistant “Acrtic Apple” could improve apple industry sales the way “baby carrots” did for carrot sales. Presumably, improving apple industry sales means fooling the public with the new apples similar to what happened when “baby carrots” were rolled out. “Baby carrots” are not young, tender carrots but instead are specially shaped slices of peeled carrots which were invented as a way to use carrots which were too twisted or knobby for sale as full-size carrots. Sharrat noted that a consumer poll commissioned by BC and Quebec apple growers associations found that 69 percent of Canadians did not want the GE apples. U.S. polls have similarly found the large majority of consumers opposed to GMOs, but public sentiment thus far has done little to stop the proliferation of GMO products endangering us, our food chain and our environment. More worrisome than the issue of freshness is: while only one changed gene is being used to keep the apples from browning, it is likely that other apple genes have also been changed in the process of creating the new GMO apples, the same as has happened with other GMO crops. Kirk Azevedo, a former Monsanto employee who worked on genetically engineered cotton, was told by one of Monsanto’s PhD researchers that other proteins besides the one Monsanto wanted were produced as byproducts of the genetic engineering process. Azevedo, who had also been studying protein diseases reported that such proteins could be toxic, and he tried without success to warn Monsanto that seeds from the GE cotton should be destroyed and not fed to cattle. There has been no testing done to assure the apples’ safety in the long-term. Already, scientists have reported birth defects, abnormal growth, high infant mortality rates, and sterility in hamsters, rats, and livestock fed genetically engineered soy and corn. Some growers, especially organic ones, are worried that genes from the new apples will spread to their crops. Though apple pollen does not usually drift very far in the air, it can be carried by bees. Once introduced, there would be no way to control cross-pollination. The news surrounding GMO crops continues to get further and further outlandish as the crops are increasingly mutated and sprayed with a medley of harsh pesticides, herbicides, and insecticides. The latest news comes from an unlikely source — an automotive publication known as Autoblog. The website reports that farmers who have opted to plant Monsanto’s genetically modified seeds have run into one daunting problem (outside of decreased yields and an extremely higher risk of disease): little ‘spear-like’ stalks from the harvested GMOs are absolutely wreaking havoc on the heavy duty tractor tires. Described by one farmer as a ‘field of little spears’, farmers are now turning to kevlar tires. In case you’re not aware, kevlar is the same material used in bulletproof vests to protect from gun bullets. The stalks are so sharp and weapon-like that they can wreck an entire set of wheels, which is a daunting reality when considered that one tractor can have as many as eight heavy duty tires. Furthermore, a single tractor tire can easily cost thousands of dollars. Thanks to the GMO crops, the average lifespan of a tractor tire has dwindled from five or six years down to just one or two — if the farmer is lucky. Add that to the exponentially increased amount of pesticide use required to maintain modified crops thanks to heavily mutated ‘super’ rootworms and other insects, and it’s easy to see how GMO farming is nothing but a monetary pitfall for farmers. Strange reports like these may ultimately be what it takes for the public to truly be concerned about genetically modified seeds and ingredients. Outside of the massive amount of research highlighting the damaging effects of GMOs on human biology, the environment, and nature as a whole, it oftentimes takes a bizarre incident such as this in order to fully gain the attention of the far-reaching press. The longer the use of GMOs is allowed nationwide, the more bizarre and outlandish stories will begin to emerge. As if mutant insects, superweeds, decreased biosphere microorganism population, and direct organ stress weren’t enough, now Monsanto’s GMO crops can be easily utilized as a sharp and deadly weapon.